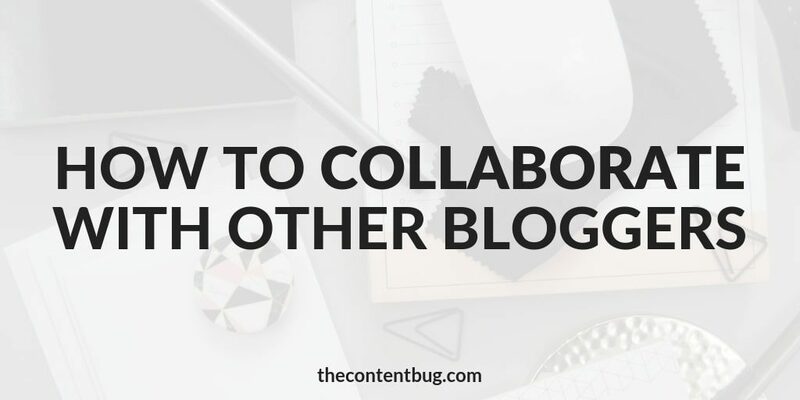 If you’re looking for an easy way to grow your audience and make a friend in the blogging world, look no further than collaborations. I’m sure you’ve seen your fair share of collabs. These days, bloggers, YouTubers, and influencers and joining forces to create content together. And I’ve got to say, I love it! I’ve done a few collaborations myself. And I even have a few in the works in right now. So if you’re ready to learn more about how to collaborate with other bloggers to grow your audience and reach, I’m ready to spill some tips. As a beginner blogger, you may feel like a lone wolf. Like it’s you against the world. But that’s so far from true! From this moment forward, I want you to think of other bloggers as members of your community and not your competition. By making this simple shift in your mindset, you open yourself up to so many new opportunities… like collabs! Collabs are great, okay? Just trust me. For starters, when you collaborate with another amazing blogger, you make a new friend. Someone that you can connect with on a deeper level than someone who doesn’t understand the blogging world. But beyond that, collaborations can dramatically grow your audience. And who doesn’t want to grow their audience? If you stay in your own lane and keep creating content for your audience, you are limiting yourself! 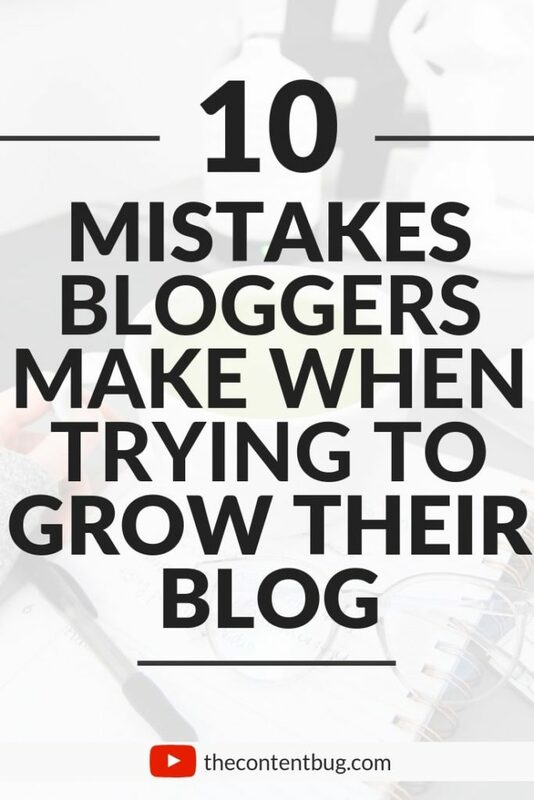 Sure someone could stumble upon your blog from Facebook, Google, Instagram, or Pinterest. But instead of leaving it up to chance, why not try to put yourself in front of someone else’s audience? An audience that is your target audience! I’m telling you, this is one of the BEST ways to grow your audience. 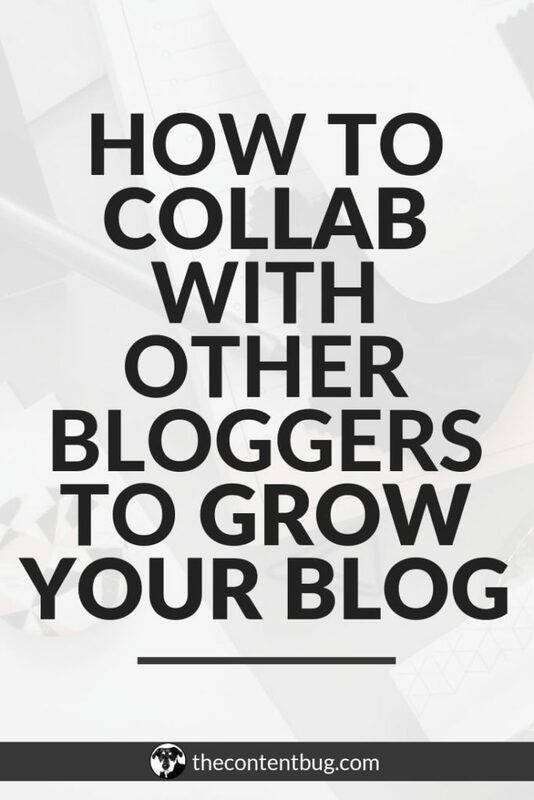 But how exactly can you collaborate with other bloggers? Well, let’s get into the logistics! 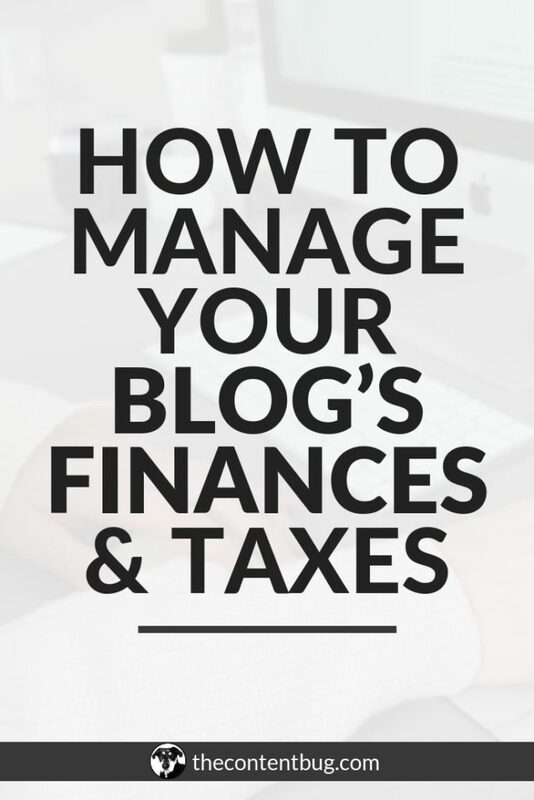 There are many ways that you can collaborate with other bloggers. And several different outlets for collaborations. So let’s start with your blog. This is where you write a blog post for their website and they write a blog post for your website. Kinda like a blog takeover! Want to be featured as a guest blogger on my website?! Click here to learn more. Okay. I didn’t know what to title this one. But you could write a blog post for your audience that doesn’t feel complete without their blog post! So let’s say I share 5 tips to grow your Instagram account and the person I’m collaborating with shares some Instagram secrets to take your account to the next level. At the beginning or end of my blog post, I could tease their content. Maybe even say that the tips I share won’t work if you don’t know those secrets that the other person is sharing. Now, what if you want to do a video collaboration. I have both of these coming up with Cassie from Explore Horizonz which I’m really excited about! For IGTV, you could schedule a time to meet and shoot a video together to share on IGTV. And your YouTube, there are a couple of directions that you could take. You could create separate videos that go together. Kinda like the incomplete blog post idea. You could share videos on each other’s YouTube channel. Or again, you could meet and shoot a video together! There are so many options to explore here. I’ve actually done this for a local business here in Rochester. I took over their Instagram stories for a couple of hours sharing a few short videos of me talking. You know… what I always do on my Instagram stories typically haha. But this is a great way to make more of a personal connection with someone else’s audience! So I encourage you to try it. When you host an Instagram live, you can invite someone else to host it with you! That way it appears in front of your audience and their audience. And you get to sit down and talk together on Instagram. Pick a topic that you’re going to talk about and get to it! And don’t forget to introduce each other so your audiences aren’t confused. Seriously, if you’re struggling to grow your audience, try doing a giveaway! You could do it on your own or with someone else. But when you do it with someone else, you both really benefit because you can pull your funds and offer more in the giveaway. AND you both get to grow your audience. You just need to make one of the rules of the giveaway that you have to follow both of your accounts to be entered to win. Now, of course, there are more ways that you can collaborate with others. But these are just some ideas to get you thinking. Now that you know some of the options available to you, it’s time to find someone to collaborate with. And this is a tricky part. You may be tempted to reach out to someone that has a larger audience than you. Because you want to grow! Why not shoot big?! Here’s the thing… collaborations have to work for both people involved. If you’re trying to collaborate with someone who has 10,000 follows on Instagram and you only have 700 followers, this isn’t going to beneficial for the other person. They aren’t really getting anything in return. So I’ve got 2 tips for you when it comes to finding people to collaborate with. Things you need to look for in potential candidates. You want to find someone that has a similar size audience to you or maybe just slightly bigger. You don’t want someone who has a much smaller audience than you. And of course, you don’t want to reach out to someone who has a dramatically larger audience. Now I wish I could just tell you to look for someone within 1,000 followers of your follower count. But it all changes the larger your audience base is! If you still have a smaller audience, anywhere from 1,000 to 10,000, I would recommend that you look for people that have an audience within 1,000 people of your audience. But if you have a larger audience, let’s say 500k and up, then you can really reach out to anyone! I see people with 500k followers collaborating with over 3 million followers. When you’re at this level, you still have a large audience that can benefit both of you. So don’t stress too much about this. But make sure you take it into consideration before you reach out to someone for a possible collab. You can’t just collab with someone because they are nice. If you’re just looking for a friendship, then reach out to them asking if they want to connect. But if their content doesn’t make sense to recommend to your audience, then the collaboration is pointless! You need to collab with people that your audience can benefit from. So if you’re a fitness guru and you want to collab with someone in the technology industry, that doesn’t really make that much sense. So be selective to ensure that it makes sense to your audience. You don’t want to confuse them and risk the chance of losing them! When the collaboration goes live, you need to capitalize on it! It’s not like you just post some content and it’s done. Here are some tips to make the most out of your future collaborations. When you do a collaboration, you need to make it easy for the other person’s audience to find you. Typically this will mean just including a link to your website, channel, or profile. But to make it even easier, you need to make sure that your branding is on point! I just did a podcast interview the other day and at the end, I got the opportunity to share where people can find me. And I said that you could find me on Instagram and YouTube by searching TheContentBug and then my website was thecontentbug.com. Everything is cohesive and makes it easy to find me no matter what platform you’re on. You may be thinking, well duh! You should always be responding to comments. But what you really want to do is respond to comments on the other person’s content! So if you write a guest blog post on someone else’s website, you want to make sure that you take the first 24 hours to refresh the page and respond to any comments. This will create more of a personal connection. And again, make it easy for someone to find you! Now when you notice that you’re starting to get some new followers from the collaboration, you want to break the ice. It could be as easy as talking on Instagram stories or sharing an Instagram post with some fun facts about yourself. Just something that makes you seem human. Something that new followers can relate to. 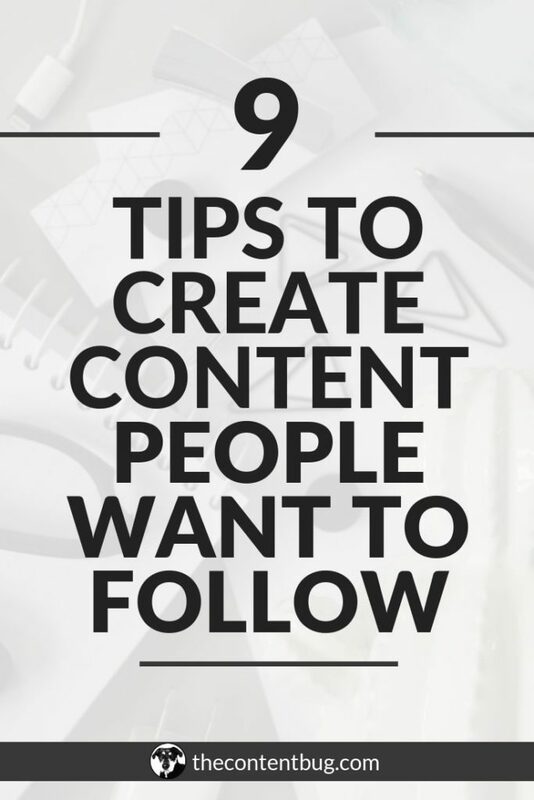 That’s key to creating long term followers! When you’re a beginner, it may take you a little bit longer to get your first collab. But don’t let that stop you from reaching out to people! Start by writing one or two emails a month with collaboration ideas. Compliment the person you want to collab with. Talk a little bit about yourself and the content that you share. And then share your collaboration idea. Don’t just reach out to someone and ask if they want to collab. Come prepared with an idea! That way it’s easier for them to say yes to.